All stocks start with an IPO. It is a well known fact that some of them build their investors an enormous wealth over time. $SBUX for example is up 7800% since its IPO 20 years ago. $PNRA is up 2450% since its IPO 11 years ago. There are countless other examples, but is buying on the IPO day a wise choice? For most retail traders, who by default don’t have access to initial offerings, blindly buying IPO stocks when they become available is a losing proposition. You have to understand the incentives behind IPO offerings. There are so many willing suppliers of stocks: from the VCs, who want to bring back some money after years of waiting; to employees, who are in a hurry to taste their newly acquired wealth; to investment banks that are looking for a quick flip. This is why, most new issues are not a good investment during the first 6 to 12 months of their existence, when the lockup period expires. If you take a look at the charts of most of the long-term big winners, you would notice that the majority of them didn’t have any traction in their first year of becoming a public company. There are some rare exclusions, like $GOOG for example. The odds of investment success are better if you wait out the first 6 to 12 months and buy as a stock is breaking out to a new all-time high, preferably with earnings catalyst behind the move. Most new issues might not be a wise investment, but many have proven to be perfect trading vehicles due to their underlying nature – small float and intriguing story, which fascinates the mind with its potential, encourages the dreams of future profits and gets all the press attention. As such, they could offer great short-term trading opportunities. Make sure you don’t overstay your welcome. It is perfectly appropriate for many of the new stocks that go up substantially in a short period of time, to issue secondary offerings and dilute current shareholders. Wall Street is a printing press and a marketing machine. It carefully gauges the health of the market and the current appetite for certain industries and at the end of the day, it offers what the market desires. The supply is unlimited. Let me know if I missed any, deserving my attention. 1. People usually expect the future to be like the past and underestimate the potential for change. 2. When everyone believes something is risky, their unwillingness to buy usually reduces its price to the point where it’s not risky at all. Broadly negative opinion can make it the least risky thing, since all optimism has been driven out of its price. 3. In investing, as in life, there are very few sure things. Values can evaporate, estimates can be wrong, circumstances can change and “sure things” can fail. However, there are two concepts we can hold to with confidence: • Rule number one: most things will prove to be cyclical. • Rule number two: some of the greatest opportunities for gain and loss come when other people forget rule number one. 5. Investors hold to their convictions as long as they can, but when the economic and psychological pressures become irresistible, they surrender and jump on the bandwagon. 6. Even when an excess does develop, it’s important to remember that “overpriced” is incredibly different from “going down tomorrow.” • Markets can be over- or underpriced and stay that way—or become more so—for years. 7. If everyone likes it, it’s probably because it has been doing well. Most people seem to think outstanding performance to date presages outstanding future performance. Actually, it’s more likely that outstanding performance to date has borrowed from the future and thus presages subpar performance from here on out. 8. Our goal isn’t to find good assets, but good buys. Thus, it’s not what you buy; it’s what you pay for it. 9. There are two kinds of people who lose money: those who know nothing and those who know everything. 11. Surprisingly good returns are often just the flip side of surprisingly bad returns. One year with a great return can overstate the manager’s skill and obscure the risk he or she took. Yet people are surprised when that great year is followed by a terrible year. 12. Psychological and technical factors can swamp fundamentals. In the long run, value creation and destruction are driven by fundamentals such as economic trends, companies’ earnings, demand for products and the skillfulness of managements. But in the short run, markets are highly responsive to investor psychology and the technical factors that influence the supply and demand for assets. In fact, I think confidence matters more than anything else in the short run. Anything can happen in this regard, with results that are both unpredictable and irrational. For more than three years, investors have been pointing out that the gigantic size of Apple will limit the pace of its growth. Apple has proved them wrong, but Apple has been an exception. Historically, size has been an enemy of fast growth. Eventually, the naysayers will be right, but this might not matter. Everyone and his grandmother has heard of this thesis and it is already discounted by the market in some form. How else would you explain the fact that $AAPL is trading at 15 times P/E while it is growing its earnings at 50%. The market clearly anticipates slowdown in earnings and if there is a surprise, it is likely to be on the upside. There have been many discussions lately about the money hoarding by the big U.S. tech companies. The common denominator is that $AAPL and $GOOG should start paying dividends. At this point, this suggestion is ill-advised and doesn’t make any sense. Apple’s current ROE is 41%, which means that it makes 41 cents for every $1 of its capital. Logic says that if Apple’s shareholders cannot find an investment with higher than 41% return, they should not want to get paid dividends. Apple is still using their capital wisely. Over the past few quarters, it has become a tradition for $AAPL to appreciate in front of its earnings report, reflecting general expectations for positive surprise. The price action after the report hasn’t been that inspiring as “buy the rumor, sell the news” effect has dominated. I don’t expect this quarter to be any different, but anything is possible. 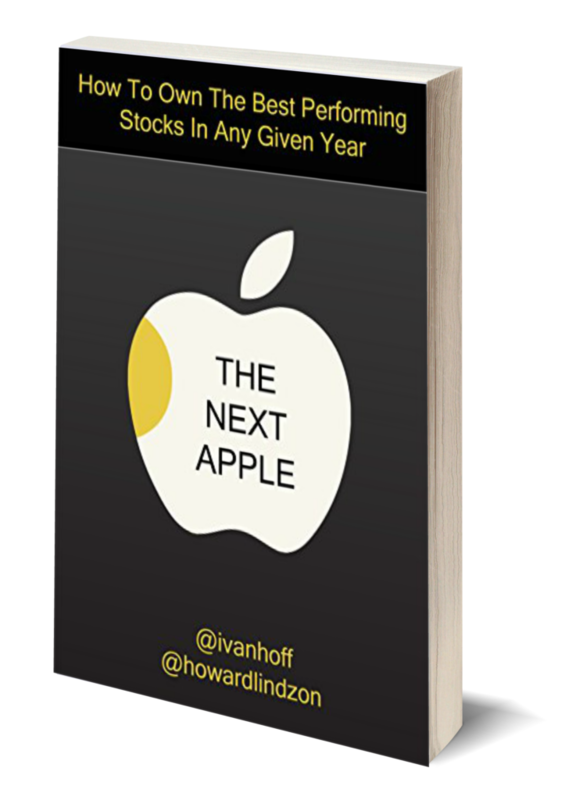 Author IvanhoffPosted on January 23, 2012 December 4, 2012 Categories Best Of, Uncategorized2 Comments on How Cheap is Apple? 1) The market reacts positively to bad news. Negative headlines and terrible earnings reports are ignored. As the saying goes, reaction to news is more important than the news itself. Good reaction to bad news is the ultimate indicator of positive sentiment. Never underestimate the power of optimism in the market – it feeds on itself and creates positive feedback loop. 2) Plethora of high-volume breakouts to major new highs, representing different industry groups. The so called “market of stocks” environment. 3) Low correlation market, which produces both winners and losers. There are good ideas for both bulls and bears. 4) Defensive sectors underperform. Capital leaves perceived safety and rotates into more economically sensitive sectors. 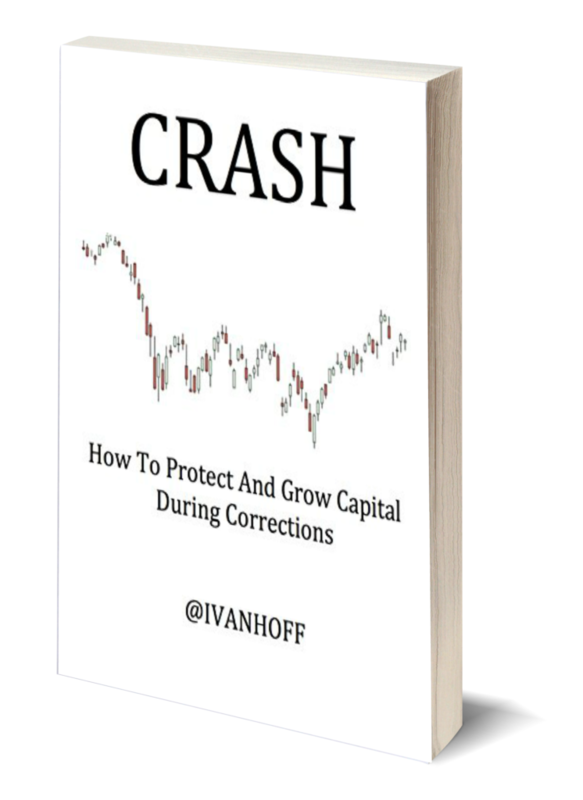 5) High beta names outperform as the fear of missing out becomes higher than the fear of losing. Small caps, emerging markets, low priced stocks outperform. 7) There are so many breakouts that you are confused which ones to take. You feel like a kid in a candy store or like an adult in front of a cheese stand with 200 options to choose from. This is normal – the human brain is meant to operate in an environment of scarcity. To cope with a situation like this, we have invented shortcuts that mean different things for different people. Technical analysis is one form of a short cut. 8) Breakouts stick and have a follow through. 9) Most of the dips you buy, turn out profitable. 10) Major market indexes are trading above their rising 50dma. 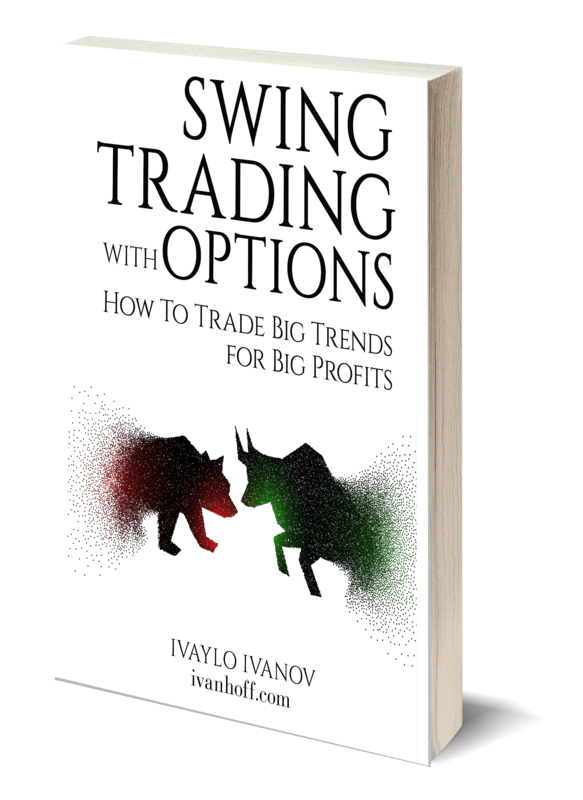 The moving averages are typically lagging indicators, but they often play the role of a good point of reference. 12) People ask why such and such stock is up 15% today on now news. Sometimes the only news you need is the lack of bad news. Positive sentiment and money flow are powerful catalysts that could continue longer than most expect and have bigger impact than most are willing to comprehend. 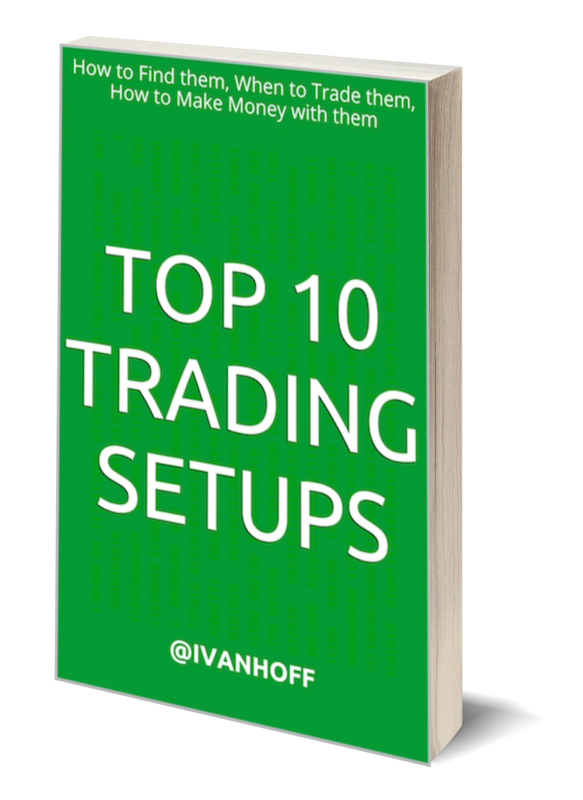 13) Your confidence increases substantially and you honestly believe that you are the best trader in the world. Don’t confuse brains with market uptrend. Overconfidence is the single biggest reason for investors’ demise. The second biggest reason is ignorance, but this is a topic of another conversation. No matter the market environment you trade in, paying attention to risk management is of utmost importance. You don’t have to be right, you don’t have to be original, you don’t have to be first, but you have to take favorable risk to reward trades. If you don’t have a plan, you will become part of someone else’s plan. I know 13 is an odd number, but this is all I could come up with at this point. Add yours in the comment section, if you will. 1. Stock prices run in cycles. Periods of re-pricing are usually quick and powerful and then they are followed by trendless consolidation. 2. Stocks are very highly correlated during drastic selloffs and during the initial stage of the recovery. In general, correlation is high during bear markets. 3. Bull markets are markets of stocks, where there are both winners and losers. When the market averages consolidate, there are stocks that will break out or down, revealing the intentions of institutional buyers. 4. In the first and last stage of a new bull market, the best performers are small cap, low float, low-priced stocks. 5. Try to trade in the direction of the trend. It is not only the path of least resistance, but also provides the best profit opportunities. Have a simple method to define the direction of the trend. 6. Traders’ attention (and market volume) is attracted by unusual price moves. Sudden price range expansion from a consolidaiton is often the beginning of a powerful new trend. 7. Opportunity cost matters a lot. Be in stocks that move. Stocks in a range are dead money. 8. Big winners are obvious only in hindsight. Many other stocks shared the same characteristics when they tried to break out. Some failed. Some had a followthrough. Being wrong is not a choice. Staying wrong is. You can only control your risk and how long you will ride your winners. 9. The overall market conditions will never be perfect and when they seem so, it is probably a good idea to decrease exposure and take profits. With that in mind, you don’t have to be in the market all the time. When you don’t see good setups, it just makes sense to watch from the sidelines. 10. Big institutions achieve outsized returns by riding strong trends for the long-term (long enough to make a difference). This is the only way for them. They can’t easily and often get in and out due to their size. Establishing small positions does not make sense for them as it would not make a difference for the bottom line. Big winners can make a difference when they are big positions. Big positions take time to accumulate and along the way institutions leave clear traces. 11. Small losses are often better than small gains. If I sell my position every time it shows me a small gain, I would never achieve a return high enough to make a difference and to cover the inevitable losses. Amateurs go bankrupt by not taking small losses. Professionals go bankrupt by taking small gains. It is absolutely true that a large number of consecutive gains could multiply returns substantially. The point is how big should be those gains. 4-5% is not going to help a lot. 15-20% gains is something completely different. 12. Prices change when expectations change, but sometimes expectations change when prices change. In other words, there are different types of catalysts that move stocks. In long-term perspective (years), stocks move based on the underlying social trend and the stage of the economic and liquidity cycle. In medium-term perspective (months), stocks move based on expectations for earnings and sales growth. In short-term perspective (weeks and days), stocks move based on price action primarily. 13. If you understand the incentives of the major market participants, you will be able to predict their likely behavior. Technical analysis is a lot about understanding incentives and recognizing intentions. 14. Your first loss will often be your best loss. No one is right all the time and you don’t have to be. 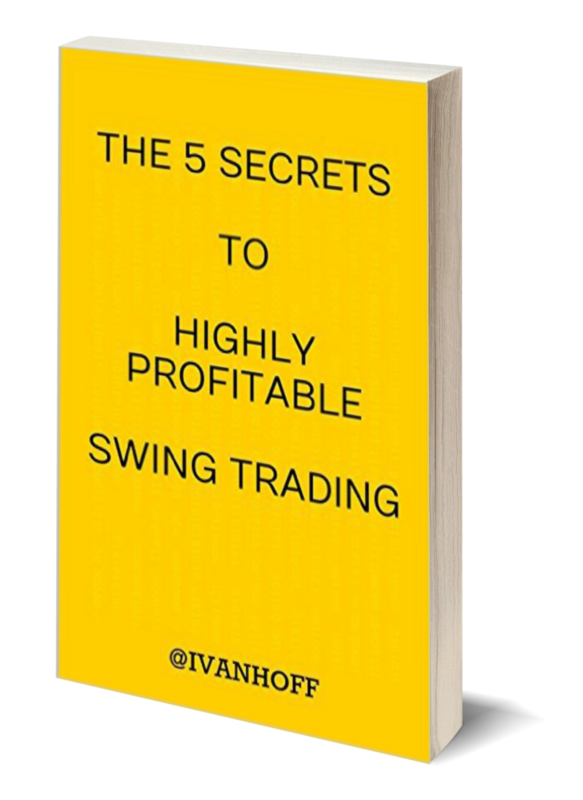 There are market participants that are immensely profitable by being right only 30% of the time. It is good to have conviction in your investment thesis, but discipline should always trump conviction. 15. Optimism and pessimism in the stock market are contagious. Investors psychology often loses its logic and become emotional. The news media and the most recent price action play a particularly important role in developing moods of mass optimism or pessimism. 16. Declining stocks often reverse their downtrends near the end of the year, as selling for income tax purposes subsides. 18. Liquidity is cyclical. It constantly expands and contracts. When it contracts, capital flows to perceived safety – U.S. Dollars and Treasuries. 19. Rising P/E is an indicator of rising expectations and confidence in the future of the stock. The P/E ratio reflects the enthusiastic optimism or the gloomy pessimism of investors. 20. When you calculate the time you need to drive from point A to point B, you should always take traffic into account. Traffic is like the stock market. You might pretend that it doesn’t matter, but it will impact you anyway. It doesn’t matter how smart you are, how ingenious your idea is or how cheap your stock is – if the market does not agree with you, you will not get paid. Period.